Contrary to an all too popular belief, developing messaging is not a quick, ad hoc exercise that can be done over a cup of coffee or during a weekly team meeting. Instead, impactful, sales-driving messaging requires a disciplined approach that starts with understanding the customer. When developing a message, I encourage clients to begin by “putting on the shoes of your customer” and “meeting your customer where they are.” My clients are often surprised how this way of thinking leads away from the newfangled product features they assume customers should want to know about, and towards a message that actually meets customer needs. The fact is, “Build it and they will come” no longer applies in today’s highly cluttered and competitive marketplace where customers are inundated with product choices and offerings. The good news is that most of the information needed to develop impactful messaging is readily available. 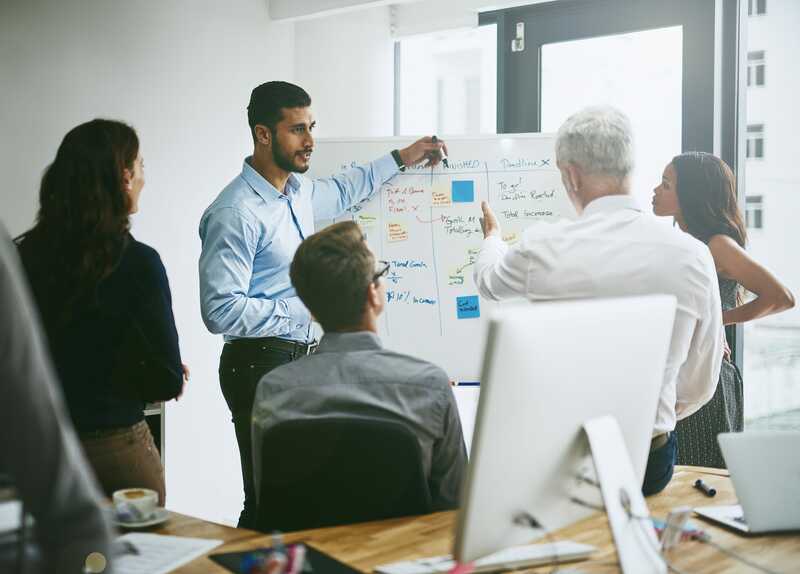 Customer insights, along with the following 5-step process, will put you on the right track for developing messaging that will truly inspire customers to choose your product. Step 1: Identify your target audience. What group of customers will benefit most from the product? Which customers are most dissatisfied with current options and are open to a new alternative? Which customers are able to pay for the product and are willing to do so? It may be useful to create a Venn diagram, with a circle representing the various customer groups that apply to each question. 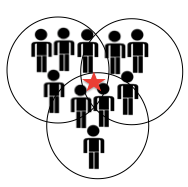 Your core customer target will be found in the area where all of the circles intersect. Keep in mind that your messaging can certainly go beyond this core customer target, but be aware of how the larger audience may differ from this core. Step 2: Define the problem your product will solve for your audience. As with identifying an audience, teams often give this step short shrift, believing a general sense of the problem is enough to build a message on. Not true. Before generating a message, you must explicitly understand the problem your product will solve—its purpose. Unless you communicate a clear, quickly grasped purpose, you’ll never break through the noise generated by competing products. Define a single, clear problem that your brand can uniquely address better than the competition. Draft a problem statement in the range of 20–30 words. This exercise will force your team to boil the problem down to its essence while still including insights on your customer. Step 3: Clarify how your product uniquely addresses the problem. In what ways are your product’s benefits unlike those of your competition? What values, personality, and attitude do you want to project? How do the benefits you’ve identified relate to the qualities you wish to project? Step 4: Specify exactly why customers should believe you. What are the top three facts about your product that support its uniqueness? What data or evidence can you provide that supports your most important claims? Step 5: Identify what barriers may exist to keep customers from choosing your product. Regardless of what the barriers are, identifying and understanding them is critical for developing relevant messaging that can change behavior. After drawing up your list of barriers, use them as a litmus test. Go back through Step 3 and Step 4 to confirm that your benefits and evidence are sufficient to overcome these barriers. If you discover unaddressed barriers, refine your message by finding previously unidentified features that will help transcend them. These added insights may make all the difference when it comes to successfully changing behavior and moving the needle. Recently, during a messaging project I was working on, my client received news that their product would likely not be reimbursed for close to two years post-launch. In light of this new information, our consulting team realized we had to revalidate the client’s target customer and be sure they would in fact be willing to pay out-of-pocket. Given their symptoms were moderately to highly bothersome, we felt somewhat confident the potential customers we were originally targeting would be willing to pay for their treatment. However, after just a few brief rounds of qualitative market research in which we interviewed target customers, it became clear that a significant subgroup of these potential customers would not be willing to pay out-of-pocket. Putting our research to use, we refigured our target to exclude these customers—at least for the short-term—and instead honed in on a smaller, yet more likely target audience with a higher income and more severe symptoms that were negatively impacting their quality of life. The insight we gained through our market research was extremely valuable. Without it, the team would have wasted valuable time and resources targeting a large group of potential customers who—even though they could benefit from the product and were dissatisfied with current treatment options—were not willing to pay for the treatment. By following these steps, you’ll be well positioned to develop messaging that drives sales and meets the needs of your customers. Weatherhead D. Key message development: Building a foundation for effective communications. PR Say. http://prsay.prsa.org/2011/12/02/key-message- development-building-a-foundation-for-effective-communications/. Published December 2, 2011. Accessed August 15, 2018. Rastagar A. The art of product messaging. Pragmatic Marketing. https://pragmaticmarketing.com/resources/articles/the-art-of-product-messaging. Published September 6, 2017. August 15, 2018. Anne Rewey is a seasoned marketing consultant, business strategist, and implementation expert with a proven track record working with leading healthcare companies, including Johnson & Johnson, Covance, Hologic, and The Medicines Company. As a marketing subject matter expert for Encompass, Anne engages closely with clients to develop customized, insightful, and practical marketing training programs.